You have a busy summer ahead? 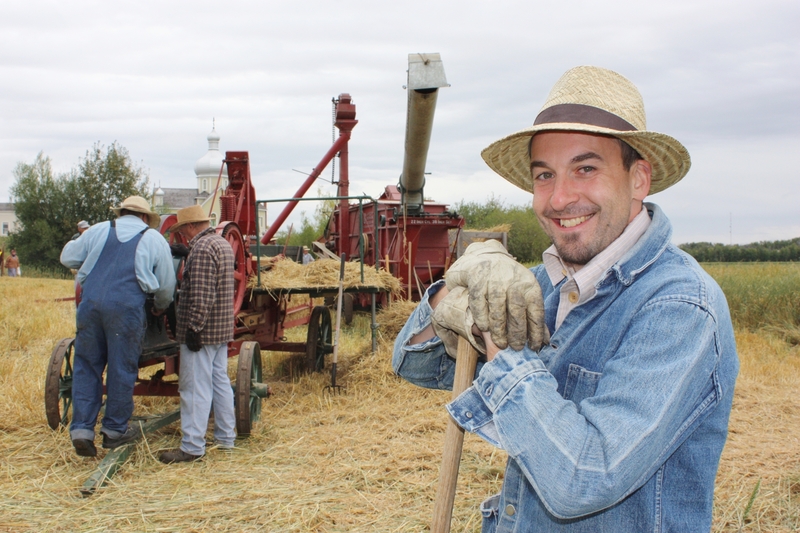 Northern Alberta’s historic sites and museums are ready for you to come and play! 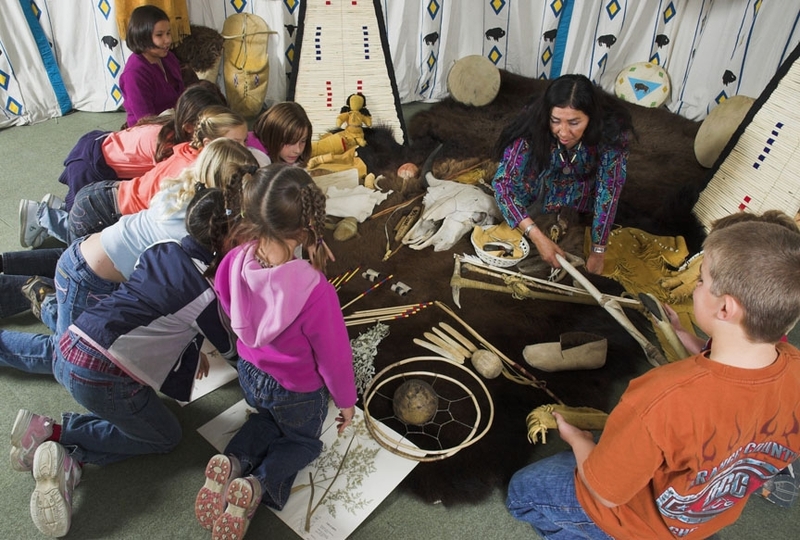 While you’re at it, you’ll learn about bugs, machines, fur-traders and even a tragic battle. Take your pick – or even better, pick up the Experience Alberta’s History Pass. 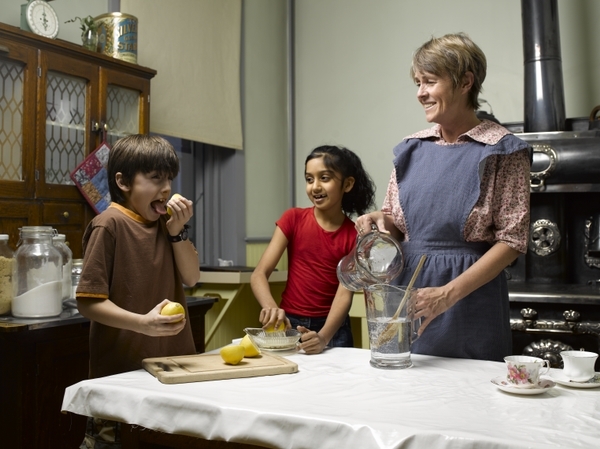 It is just $75 for the whole family to enjoy a year of Alberta’s past. St. Albert’s Father Lacombe Chapel, once a bustling gathering place for Aboriginal people and French-speaking Oblate priests, Grey Nuns and Métis, is Alberta’s oldest building. Join your costumed guide for a tour of the building, grounds and neighbouring cemetery. One of Alberta’s and Canada’s most significant heritage places, Frog Lake Historic Site commemorates the events of April 2, 1885, when First Nations’ dissatisfaction with federal government policies erupted in violence. Visitors can walk along an interpretive trail with tri-lingual signage that places April 2, 1885 within its historic context. Tour the archaeological site and interpretive centre at Elk Point’s Fort George and Buckingham House, where two competing fur trading posts once stood. A fur-clad voyageur will teach you traditional ways to make a fire, where you’ll gather to hear his adventures. By the end of your day, you’ll know all about how settlers and Aboriginal people lived and worked together. Historic Dunvegan just south of Fairview, was a 19th century fur-trade post and mission. Join your costumed guide to explore the rectory, exquisitely painted church and Factor’s family home, and trace the footsteps of the trappers, traders, missionaries and Aboriginal people who lived there. Jump as high as you can and you still won’t reach the top of the 150-tonne heavy hauler at the Oil Sands Discovery Centre in Fort McMurray. Big as it is, it pales beside Cyrus, the 850-tonne bucketwheel excavator in the industrial artifact garden outside! 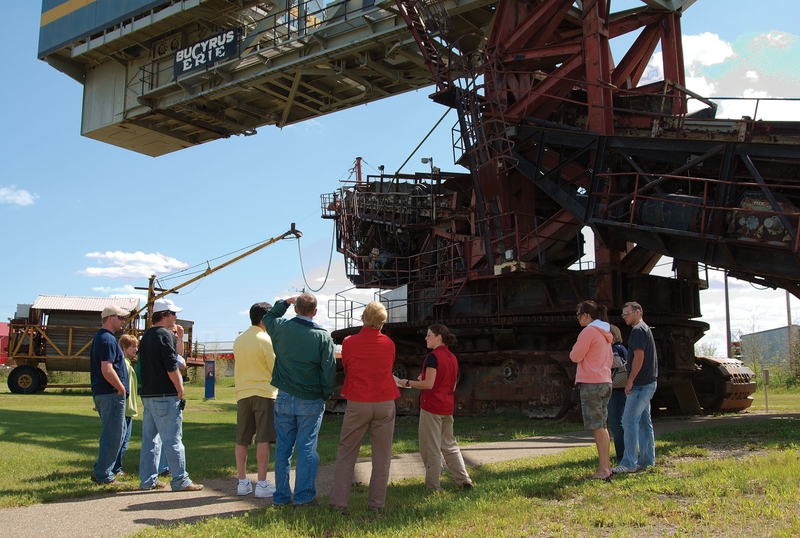 While you spend the day playing, you’ll learn a tonne about one of Alberta’s most significant industries. Know someone who loves machines? Step on the gas and visit the Reynolds-Alberta Museum in Wetaskiwin. Vintage cars, motorcycles, planes, tractors – if you’ve ridden it or dreamed of riding it, they have one here. Tour a 1911 factory and 1920s grain elevator, watch a movie in the 1950s drive-in and check out gigantic early tractors, called Dinosaurs of the Field. You’ll want a whole day to explore Edmonton’s Royal Alberta Museum. Meet beetles and centipedes in the Bug Room, huddle inside a full-sized tipi and visit the Wild Alberta Gallery to discover what lives in a wetland, a mountain cave and even a tiny drop of water or learn about man’s best friend in the “Wolf to Woof” exhibit. Bring your mom to Rutherford House in Edmonton. Tour the historical gardens and elegant home of Alberta’s first premier then visit the Arbour Restaurant for an oh-so-refined high tea with scones and raspberry butter. Kids who love to run will love the Ukrainian Cultural Heritage Village, east of Edmonton. 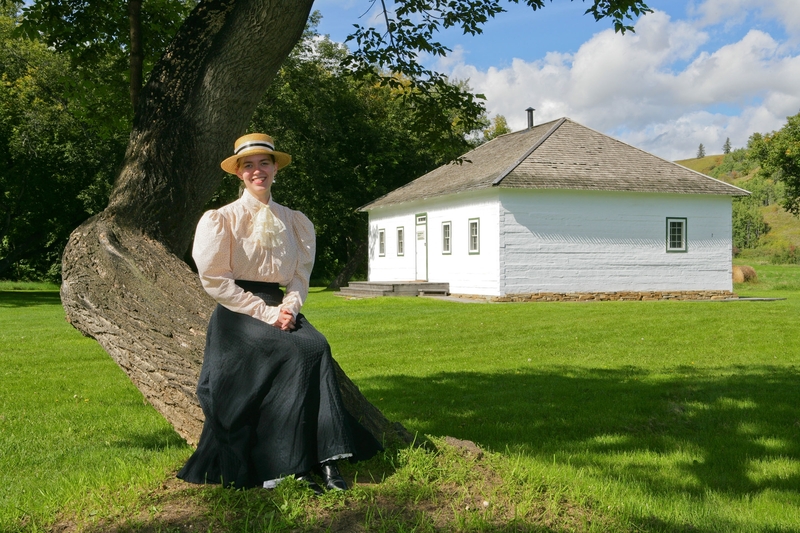 This award-winning open-air museum has over 30 restored buildings, including a sod house, one-room school, blacksmith shop and three amazing churches. If the kids still have energy to burn, play some horseshoes, make crafts or take in a historical demonstration. The past echoes gently at Victoria Settlement, celebrating its 150th anniversary this year. Discover this enchanting site near Smoky Lake, on the banks of the North Saskatchewan River. Learn the simple joys of old-fashioned games, and join a costumed guide for a tour of the church and 1864 clerk’s quarters. Don’t forget about all the exciting Provincial Historic Sites, Museums and Interpretive Centres located in southern Alberta! Search the Alberta Register of Historic Places to learn more about the above Provincial Historic Sites, which are also formally protected as Provincial Historic Resources. Alberta’s Past – Experience It! This year visit a place you haven’t seen in a while — Alberta’s Past. Check out any of Alberta’s 18 provincial historic sites, interpretive centres and museums and experience Alberta’s history. This easy-to-use pass provides unlimited access for one year from the date of purchase and opens doors to the fascinating world of Alberta’s rich history and culture. Besides offering a variety of educational and learning activities for visitors of all ages, many heritage facilities have a wide range of special events and interactive programs throughout the year. They are exciting places to stop on a vacation where visitors come to learn and have fun. Purchase an Experience Alberta’s History Pass and receive unlimited admission to 18 provincial historic sites and museums in Alberta for one full year. Experience Alberta Passes are available at all major facilities, at all AMA offices and the two Edmonton Visitor Information Centres. 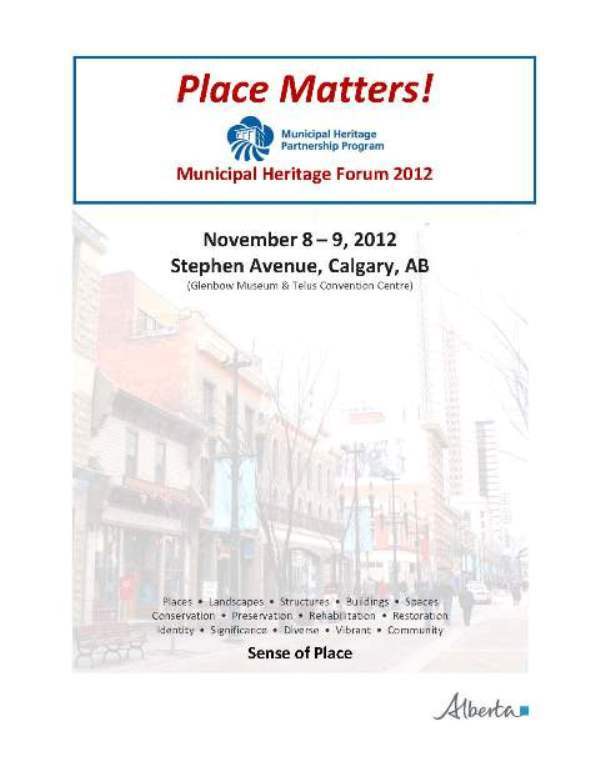 Our sixth annual Municipal Heritage Forum will be held on November 8 and 9 in Calgary. Save the date! If you’re a municipal staff member, heritage advisory board member or council member and heritage conservation is part of your work you should plan to attend. A formal invitation for you to join fellow professionals who work for or volunteer with Alberta’s municipalities on conserving locally significant historic places will be issued later this summer. The Municipal Heritage Forum is an annual opportunity for municipal leaders interested in the identification, evaluation, protection, management and promotion of locally significant historic resources to meet with peers and learn about heritage conservation. We will have presentations from municipalities on aspects of their historic resource conservation program and various presentations from heritage professionals. 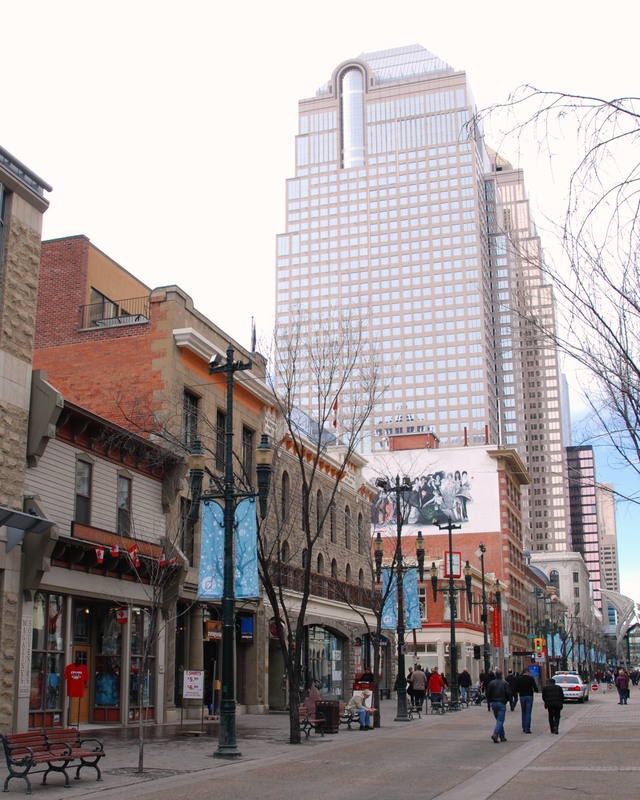 The 2012 Forum will be in Calgary, at the Glenbow Museum and the Calgary TELUS Convention Centre. Stay tuned for additional information. Want to get a sense of what happens at the forum? Contact us, or check out the blog posts about last year’s forum. When the Canadian Pacific Railway began to survey a grade west from Lacombe to Kerrobert, Saskatchewan in 1904, a number of prospective farmers began to apply for homesteads on land just off of the rail grade. By 1906, interest began to subside, for the line had not gotten east of Stettler. In the spring of 1909 however, the government of Alberta announced lucrative bond guarantees for the extension of branch lines, and, during the following summer, construction activity was intense throughout the province. This included the CPR line east from Stettler to the Beaver Dam Creek. Here, at the end of steel, a station was erected and a townsite subdivided called Castor, the French word for Beaver. As the agricultural hinterland instantly filled up with settlers, the community of Castor became an agricultural boom town. In November 1909, it was incorporated as a village, and, in June of the following year, it became a town with over 500 people, holding all the commercial and social facilities required of a farming center. Among the necessities for such a town were grain elevators. As early as June 1910, it was announced that the Alberta Pacific Grain Company was building at Castor, Halkirk and Tees. The 35,000 bushel structure at Castor would be completed later that fall. During the winter of 1910-11, local farmers were able to market their grain. In an unusual move, the elevator was located on the same side of the railway track as Main Street. In 1913, the rail line was extended eastward past Coronation, eventually reaching Kerr Robert. This gave Castor a direct line to the grain terminals at the Lakehead. As a result, three other elevators were soon built, and Castor soon began to benefit from the high grain prices of World War I. Indeed, by 1917, the original Alberta Pacific elevator was proving too small, and so the Company constructed a larger one, designed to store upward to 45,000 bushels. Although Castor soon began to decline as a community, its population dropping to 625 by 1941, the elevators continued to survive, being in the center of such a rich agricultural district. In 1967, The 1917 Alberta Pacific structure was taken over by the Federal Grain Company, and, in 1972, by the Alberta Wheat Pool. Its most recent owner/operator was the United Grain Growers, which closed it down in the mid 1990’s in favor of a larger and more efficiently run concrete structure in the district. The structure survived however and was eventually acquired by the Castor & District Museum Society, which is attempting to undertake its restoration. 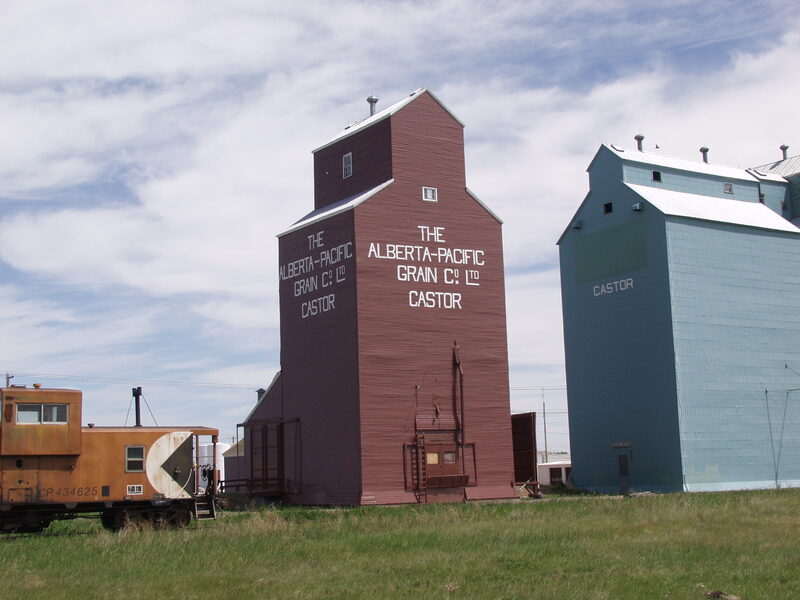 The historical significance of the Alberta Pacific Grain Elevator in Castor lies in its provision of structural evidence of the method of storing and marketing grain in rural Alberta during most of the 20th century. This structure is particularly important in that it dates from 1917, a period in time when crops were bountiful and the demand for wheat was high because of the war in Europe. It is important also for the role it played in the development of Castor, a community which sprang to life in 1910 with the arrival of the railway, and continued to serve a large agricultural hinterland, the existence of which depended upon the marketing of grain. Visit the Alberta Register of Historic Places to learn more about the heritage value of the Alberta Pacific Grain Elevator. In order for a site to be designated a Provincial Historic Resource, it must possess province-wide significance. To properly assess the historic importance of a resource, a historian crafts a context document that situates a resource within its time and place and compares it to similar resources in other parts of the province. This allows staff to determine the importance of a resource to a particular theme, time, and place. Above, is some of the historical information used in the evaluation of the Alberta Pacific Grain Elevator. Driving westward on Highway 18, I found this roadside sign a few kilometers east of the Highway 33 intersection, near the Town of Barrhead. Stopping to read it, I learned how close I was to the “all Canadian” route to the Klondike, used during the gold rush. Continuing on my way, I used part of the trail (now Highway 33) to get to High Prairie. When gold was discovered on the Klondike River in 1896, a frenzy swept North America. By 1897 a full-scale gold rush was on. Most “Klondikers” traveled by ship to Skagway in Alaska before crossing the White and Chilikoot Passes to the Yukon. Some, however, chose alternative routes. The Canadian government, the Edmonton Board of Trade, and Edmonton merchants promoted use of an “all Canadian” route. Gold seekers were encouraged to travel from Edmonton to the Yukon via the Peace River Country. Existing trails were very rudimentary, so the government hired T.W. Chalmers to build a new road between Fort Assiniboine and Lesser Slave Lake. After an initial survey in September 1897, construction of the road was started in the spring of 1898. The Chalmers or Klondike Trail began on the Athabasca River at Pruden’s Crossing, near Fort Assiniboine. Located to the east of this sign, the trail skirted the present site of Swan Hills before following the Swan River north to what would become Kinuso. From there, travelers followed the shore of Lesser Slave Lake west before turning north to the goldfields – a mere 2,500 kilometers away. The trail followed a very difficult route and was a challenge to all. Countless numbers of horses perished along the way, and travelers’ accounts describe the back-breaking labour and dangers of this trail. By 1901-02 use of the trail declined, and soon after it was abandoned altogether in favour of other routes to the Peace River area. Highway 33, just east of here, roughly follows the route of this early trail, which is linked to one of the most colourful episodes in Canadian History. North side of Highway 18, 1 kilometer east of Highway 33. The 100th anniversary of the Calgary Exhibition and Stampede came to a close this past Sunday, July 15, 2012. Today’s blog post will complete the short series about the Big Four and the geographical features named for them. The Big Four were the ranchers and businessmen that funded Guy Weadick’s 1912 wild west show and rodeo, which grew to become today’s Calgary Stampede. 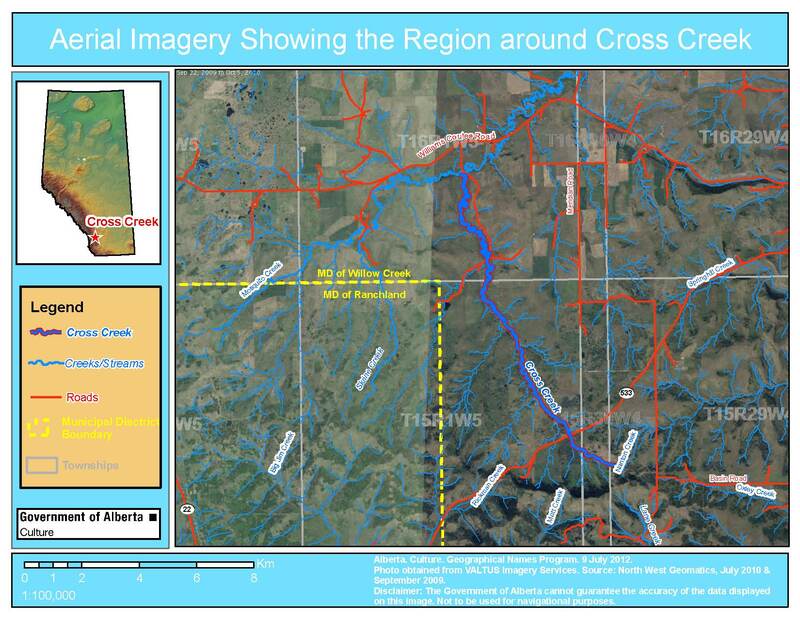 Part One of our series was posted on July 10, 2012 and featured Stavely area rancher George Lane and Lane Creek; Part Two was about A. E. Cross and Cross Creek. Today’s post will feature Calgary-based rancher and industrialist Patrick Burns. Pat Burns is arguably the most successful and well-known of the Big Four. Pat Burns was born and raised in the Lake Simcoe region, near Oshawa, Canada East (later Ontario) in 1856. He migrated west in 1878 and tried his hand at homesteading in Manitoba. While homesteading, he acquired some oxen and hired himself out as a freighter. He also dabbled in livestock trading. Encouraged by the Canadian Pacific Railway, which wanted to prove the viability of long-distance livestock shipments, Burns bought six carloads of hogs and had them shipped east; the venture was profitable. Seeing greater opportunities in livestock trading, Burns abandoned the homestead in 1885 and began trading cattle full-time. In 1887, Burns was contracted to provide meat to railway construction camps, and within two years he was supplying camps from Maine in the east to Calgary and Edmonton in the west. He established a slaughterhouse in Calgary in 1890 and established a ranch, the first of many, near Olds the following year. In 1902, Burns acquired from William Roper Hull a chain of retail stores and the associated the Bow Valley Ranche (now a Provincial Historic Resource) on Fish Creek south of Calgary. Burns’ company, P. Burns and Co., soon became one of Canada’s largest meat-packing companies, with production facilities and retail stores across the west. It also maintained up to 45,000 head of cattle on numerous ranches in central and southern Alberta, including the Bar U and the Flying E, which were acquired following the death of George Lane in 1927. Burns diversified his company’s investments by successfully expanding into dairy production and fruit and dry goods distribution and, less successfully into the American dairy market and into coal and copper mining and oil and gas exploration. Burns was active in the community and was a noted philanthropist, providing funding to schools, hospitals, orphanages, old-age homes and widows’ funds. He was also known to send train loads of food to disaster stricken areas. Burns, a supporter of the Liberal Party, was appointed to the Canadian Senate by Conservative Prime Minister, R. B. Bennett; Burns sat as an Independent from 1931 until 1936, when he retired due to health reasons. Pat Burns died on February 24, 1937 at Calgary. Two geographical features in Alberta are named directly for Patrick Burns, although four features bear his name (Confused? Bear with me). Mount Burns is an approximately 2,940 metre (9635’) mountain on the north side of the Sheep River about 40 km west of Turner Valley. In the 1910s, coal had been discovered in Sheep River Valley below this mountain and, in 1913, Pat Burns invested in a coal mine alongside the river. According to historian Grant MacEwan, Burns visited the mine site frequently. The Geological Survey of Canada recommended that the mountain be named Mount Burns, due to the nearby mine and its association with the Calgary businessman. The name was officially adopted by the Geographical Board of Canada On May 2, 1922 and began appearing on federal government maps, such as the 1926 Calgary Sectional Sheet, soon after that. Burns Creek flows off the eastern slopes of the Mount Rae/ Mount Arethusa massif. The creek flows south-easterly off the mountain face into the northern end of a small, high altitude lake (Burns Lake) approximately 1.7 hectares (4.25 acres) in size. The creek exist the south side of the lake and proceeds south-east and then north-east until it meets Rae Creek to form the Sheep River. The creek is approximately eight km in length. Not much is known about the naming of Burns Creek. The creek is named on the 1926 Calgary Sectional Sheet and it is most certainly named due to its association with the nearby mountain and coalmine. Mountains often lend their names to associated geographical features, such as creeks and lakes. Typically, these creeks run directly off the mountain. For example, Storm Creek runs off Storm Mountain and Warspite Creek runs off Mount Warspite. However, in the case of Burns Creek, the creek is not directly associated with Mount Burns, but is located on the opposite side of the sheep River Valley. Description: Flows off the east face of Mount Rae and Mount Arethusa for eight km until it meets Rae Creek to form the Sheep River about 45 km west of the Town of Turner Valley. Burns Lake is both fed and drained by Burns Creek. It was not officially named until the 1980s. In the mid 1980s, Alberta Fish & Wildlife made plans to stock this lake with fish. Information about the lake would be published in the stocking program’s reports and possibly in tourist and angling literature. A Fish & Wildlife officer familiar with the region recommended that the name Burns Lake be officially adopted. This proposal met with the approval of the Citizens’ Action Committee on Kananaskis Country on March 5, 1985 and by the Alberta Historical Resources Foundation on November 14, 1986 and by the Minister of Culture on May 5, 1987. Description: On the south side of the Sheep River Valley, approximately 47 km west of the Town of Turner Valley. 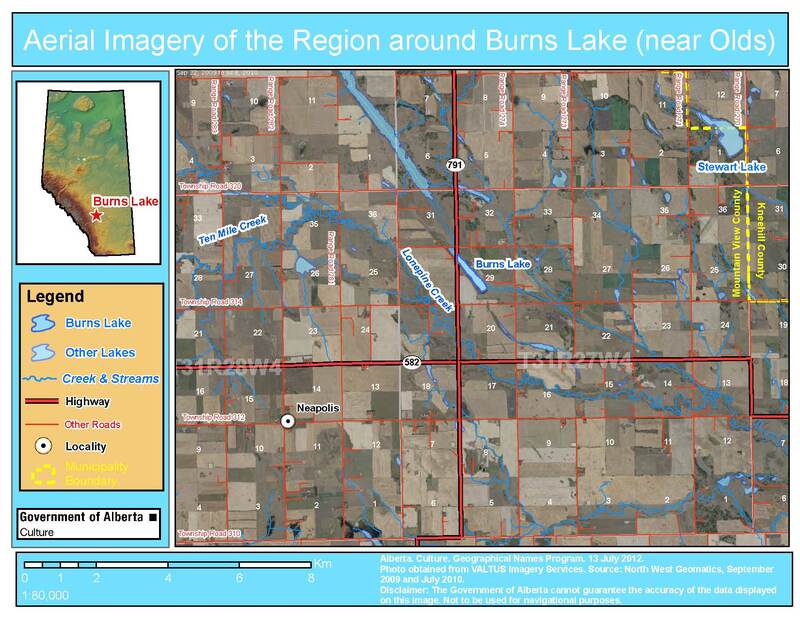 The second Burns Lake in Alberta is located near the Town of Olds. It is approximately 22 hectares (54 acres) in size. It is located in the County of Mountain View, about 25 km south east of the Town of Olds and 22 km east of the Town of Didsbury. Pat Burns operated ranches in the general vicinity of this lake. In 1922, S. L. Evans of the Dominion Land Survey recorded the name of the lake as Burns Lake on the plan he drew for Township 31-27-W4. The name was officially adopted by the Geographic Board of Canada for mapping purposes on January 20, 1955. Description: In Mountain View County, approximately 25 km south-east of the Town of Olds. Elofson, Warren, “Burns, Patrick,” Dictionary of Canadian Biography Online, edited by John English and Réal Bélanger, Vol. XVI, available from http://www.biographi.ca/009004-119.01-e.php?id_nbr=8428&PHPSESSID=bcpbd4hg2slsgaa1bkv04sukr5. “Senator Patrick Burns”, Calgary Business Hall of Fame, , available from http://www.calgarybusinesshalloffame.org/bio.php?page=laureates/2009/PatrickBurns.php. You may have noticed that this is a series about the Big Four, yet there were only three parts, George Lane and Lane Creek; A. E. Cross and Cross Creek; and Pat Burns and Mount Burns, Burns Creek and two Burns Lakes. What about the other member of the Big Four? The other member of the Big Four that funded the Calgary Stampede was Archibald “Archie” McLean. 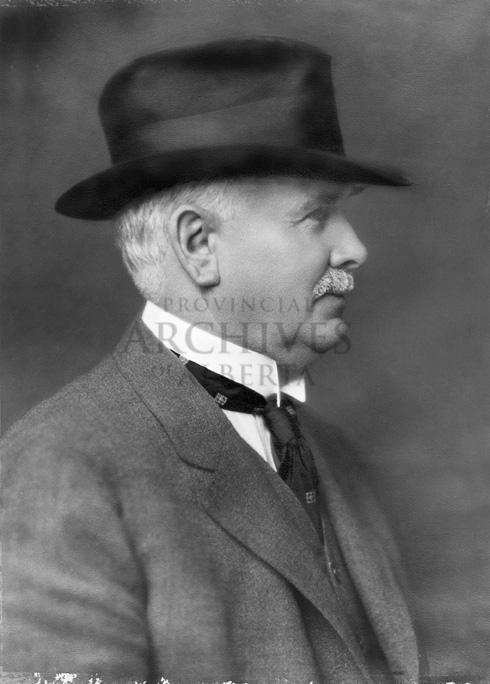 McLean was arguably just as successful as his three contemporaries, he was a successful rancher in the Taber and Fort Macleod regions, was elected to the Legislative Assembly of Alberta in 1909, 1913 and 1917. However, unlike his three contemporaries, there are no geographical features named for Archie McLean. A bridge on Highway 864 crossing the Oldman River just outside of Taber is named for him (49° 48’ 48”N & 112° 10’ 15”W) and there is a small lake just east of Lethbridge that is locally known by some as “McLean Lake” (49° 41’ 47” N & 112° 45’ 22” W). 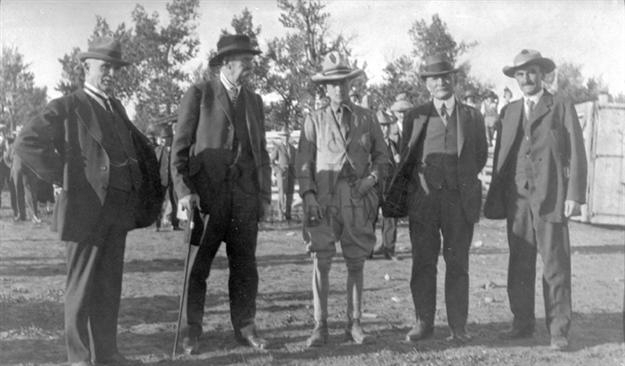 LtoR: Pat Burns; George Lane; Edward, The Prince of Wales; Archie McLean; and A. E. Cross. During the Centennial year of the Calgary Exhibition and Stampede, we are posting a short series about the Big Four and the geographical features named for them. The Big Four were the ranchers and businessmen that funded Guy Weadick’s 1912 wild west show and rodeo, which grew to become today’s Calgary Stampede. Part one of our series was posted on July 10, 2012 and featured Stavely area rancher George Lane and Lane Creek. Today’s post will feature Nanton area rancher and Calgary brewer A. E. Cross and Cross Creek. Alfred Ernest Cross was influential in many aspects of Alberta’s economy. Cross was born in 1861 at Montreal. He trained as a veterinarian and came to the North West Territories in 1884 where he was employed as a veterinarian at the Cochrane Ranche (now a Provincial Historic Resource). He left the Cochrane about a year later and started his own operation, the A7 Ranche, on Mosquito Creek, just west of Nanton. For health reasons, Cross returned to Montreal for a time. During this period, he maintained control of the A7, but he also apprenticed as a brewer. He returned to Calgary in 1891 and founded the Calgary Brewing and Malting Company and established a chain of brewery-owned hotels across Western Canada. He was active professionally and socially in the Calgary region, being a founding member of the Ranchmen’s Club, the Calgary Board of Trade and the Western Stock Growers Association. He was elected to the Legislative Assembly of the North West Territories in 1898, representing East Calgary. Cross contributed to numerous charitable causes and was a noted philanthropist in southern Alberta. He was also instrumental in establishing Alberta’s oil and gas industry; in 1912, he was a founding partner of Calgary Petroleum Products, which would discover gas at Turner Valley a few years later. Despite all of these accomplishments, Cross’ lasting legacy is in the ranching sector. By 1919, the A7 Ranche had grown to control over 25,000 acres and was one of the largest ranches, possibly even the largest, in Alberta. A. E. Cross died in 1932. The A. E. Cross House in Calgary is a designated Provincial Historic Resource. As of 2012, the A7 Ranch continues to be operated by the Cross family. Cross Creek, a tributary of Mosquito Creek, is named for A. E. Cross. The creek flows generally north and enters Mosquito Creek in Section 15, of Township 16-1-W5, about 20 km west of the Town of Nanton. The creek flows through land that was owned and operated by A. E. Cross. Historical recordings of Cross Creek are difficult to trace. Although a number of surveyors with the Dominion Land Survey (DLS) record the presence of a small spring fed creek in the general vicinity of Cross Creek, the creek does not appear on the DLS plans for Township 16-1-W5. However, on the plan for Township 15-1-W5, there is a feature noted as “Willow Creek” that corresponds partly to today’s Cross Creek. The name “Willow Creek” was likely abandoned in order to avoid confusion with the more substantial Willow Creek a short distance to the south. In July 1938, a series of memos were sent between various officials and representatives of the Geographic Board of Canada (GBC) regarding the approval of names in the Stimson Creek region of southern Alberta. One of these memos concerned Cross Creek; F. P. DuVernet (a member of the federal topographical survey) suggested that the creek be named Cross Creek after “the well known family in the locality who owns or controls the land through which the creek flows.” The suggestion met the approval of the GBC, but concerns were expressed about getting the consent or opinion of the Government of Alberta. Alberta had not sent a representative to the GBC for most of the 1930s. 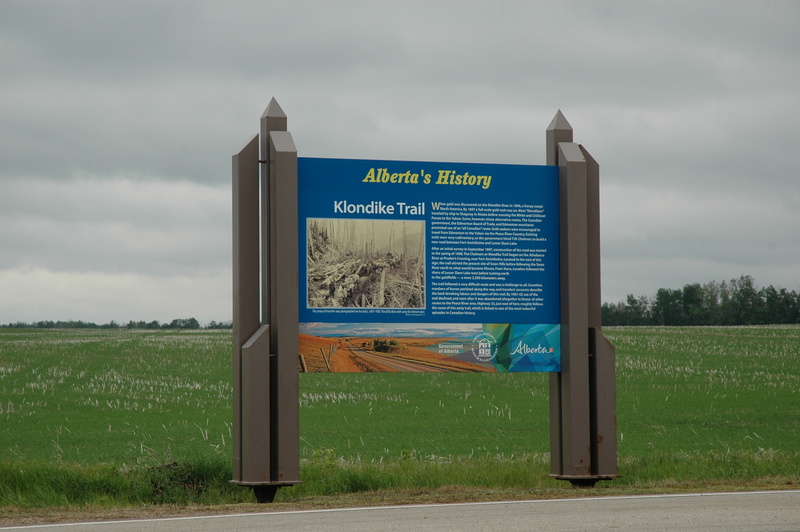 The records of the Alberta Geographical Names Program do not include any communication with provincial officials in the 1930s, so it is not clear whether Alberta’s opinion or consent was ultimately secured. However, the name Cross Creek was officially adopted at the December 12, 1939 meeting of the Geographical Board of Canada. Flows generally northerly for approximately 21 km (10 km straight line) until it joins Mosquito Creek about 20 km west of the Town of Nanton. “Alfred Ernest (A. E.) Cross”, Calgary Business Hall of Fame, , available from http://www.calgarybusinesshalloffame.org/bio.php?page=laureates/2007/AECross.php. “A. E. Cross: Rancher and Jolly Brewer 1961-1932,” Trailblazers, available from http://www.cowboycountrytv.com/trailblazers/aecross.html. “About the A7 Ranche: History of the Ranche,” A7 Ranche, available from http://www.a7ranche.com/about/.